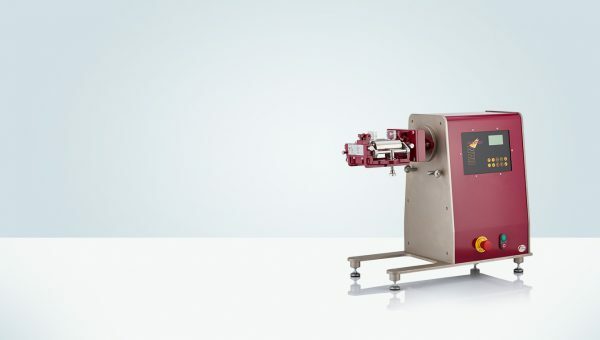 Homogenizer for homogenization of immiscible fluids. 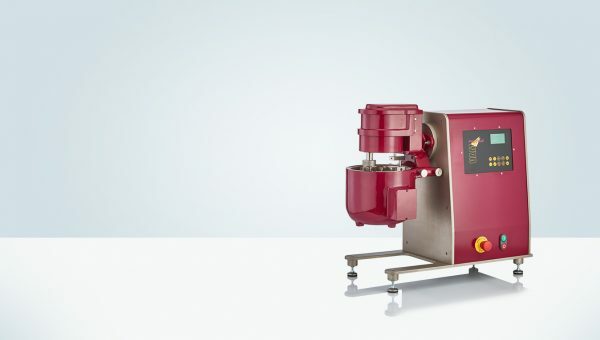 The HMG Homogenizer is used for homogenization of immiscible fluids such as typical oil-in-water or water-in-oil emulsions. A special care has to be given to avoid dry running of this instrument. The function of the HMG Homogenizer is based on the turbulent flow via a piston pump through a channel with predefined structure. This arrangement generates a static mixing effect, which allows the homogenization of immiscible liquids. » Small Batch Mode: Through manual filling of the hopper. 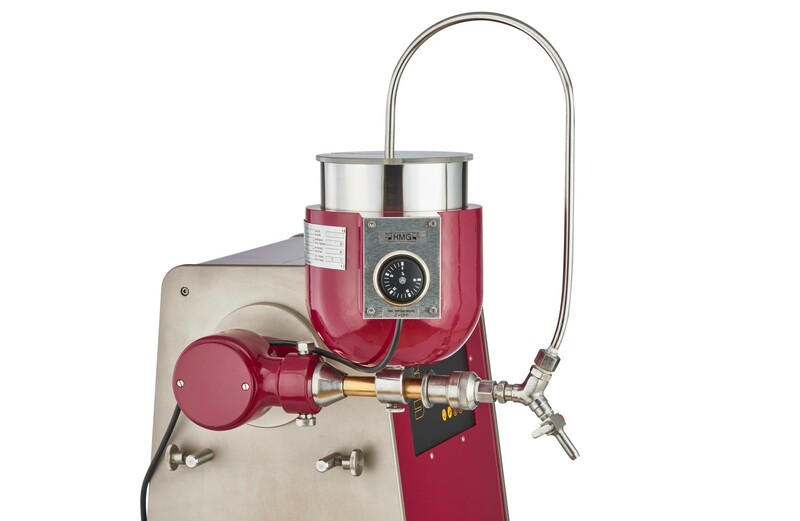 Once a batch is finished it can be emptied from the outlet nozzle. » Semi-Continuous: For bigger batches. The HMG Homogenizer can be externally connected to a bigger vessel. This option requires the feed to be pre-mixed and preheated in order to get high yield. Liquid and powder agitator for stirring, agitating and beating of liquids. 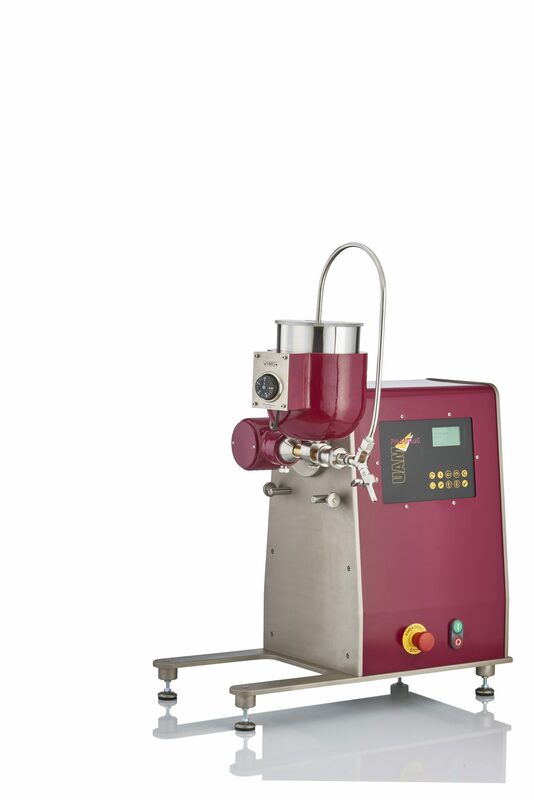 Triple roller mill for homogenization during preparation of viscous preparations. 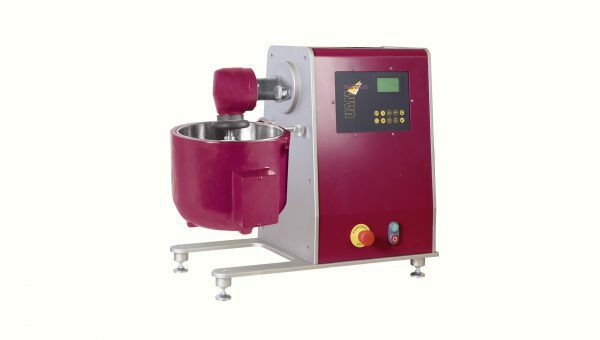 Planetary mixer ideal mixing of creams, ointments and liquids.